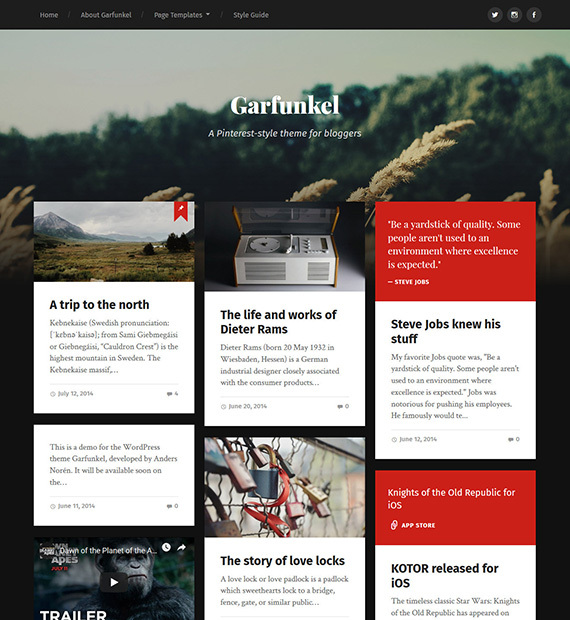 Garfunkel is a free WordPress theme with an elegant design that is highly responsive as well as Retina-ready. Styled after Pinterest with a Masonry layout, this theme will help your Blogging site stand out from the others. Furthermore, this theme is also built with Jetpack integration and supports infinite scroll. Garfunkel also comes with support for six post formats as well as six custom widgets.